Normally when I think of westerns, I think of the old west towns of America where cowboys and Indians are forever locked in a feud over land and food. Not once have I seen a western film take place in the outback of Australia, where British settlers are at war with Aboriginals. The Proposition offers a brutal glimpse of early life on the outback which can be compared to the lawless American wilderness. Charlie (Guy Pearce) and Mikey Burns (Richard Wilson) have had a good run as outlaws until one day the law catches up to them. 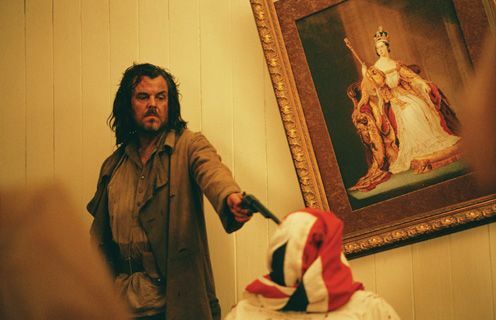 Now in custody, Captain Stanley (Ray Winstone) offers Charlie a proposition: either he finds and kills his older brother, Arthur (Danny Huston), who is considered a monster, or Mikey will hang until dead on Christmas day. While Charlie is hunting for his maniacal older brother, Captain Stanley faces the growing challenge of protecting his wife, Martha (Emily Watson) from the violence that he faces everyday. First of all, this was the best looking western I have ever seen. 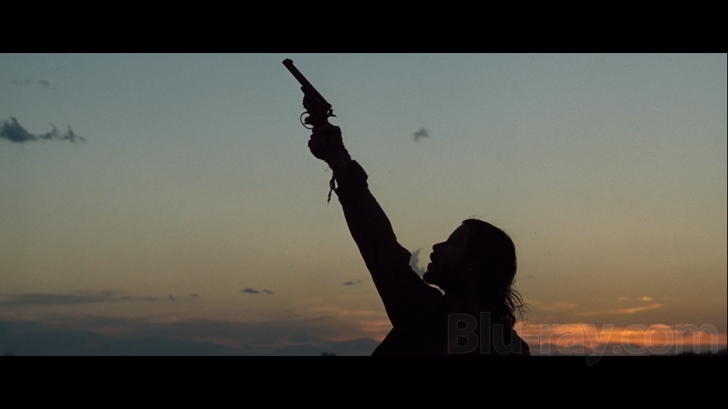 While Dead Man looks beautiful with its black and white scheme, The Proposition has breathtaking scenes of the outback at sunset, featuring stunning silhouette shots and a sky that ranges from orange to a purple tint. It is absolutely stunning. On the flip side, the morning scenes are barren and filled with flies, which almost become a character themselves. It’s a perfect combination of beauty and disgust. Other than how beautiful this movie looks, the relentless brutality is jarring, but never excessive or overbearing. 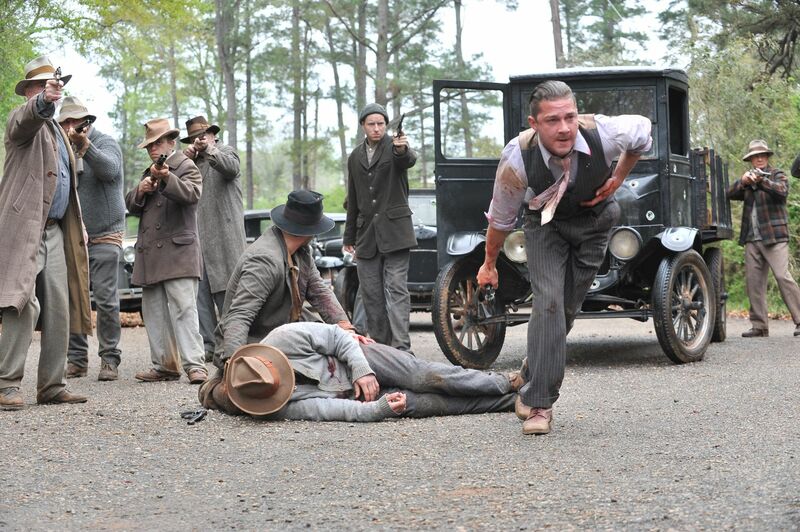 There are scenes of incredible violence that is going to stay with the viewer long after it is over. I mean it when I say that this isn’t a movie for the feint of heart or the weak of stomach. The real scene stealer is the soundtrack. Singer/songwriter and author of this fine movie, Nick Cave, did the music along with Warren Ellis. What they created is a haunting and almost spiritual score that accentuates the horror of the lawless outback and the challenge of survival. The movie starts with a beautiful song sung by a little girl with actual images of death and destruction from the time period. From there, the music gets darker and sadder along with the story. Finally, the screenplay itself. While it is full of hate and anger, there are moments where all violence and death are forgotten with quiet moments between brothers or husband and wife. These moments are perfect capos to the intensity. With strange editing techniques, the viewer can be sent from a scene of violence to silence in a jarring millisecond. This is storytelling at its best. 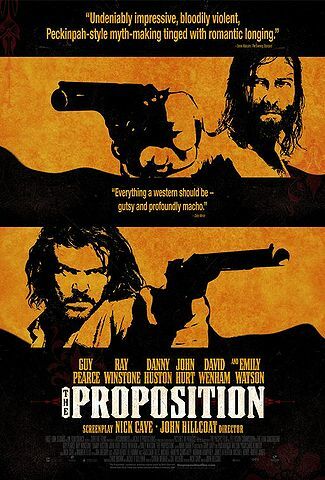 If you haven’t already guessed, I loved The Proposition. The brutality, the silence, and the way beauty and ugly became one. This is a western that packs a strong punch to the jugular that will likely bruise and swell with appreciation. This isn’t just a great western, it just might be my favorite western.